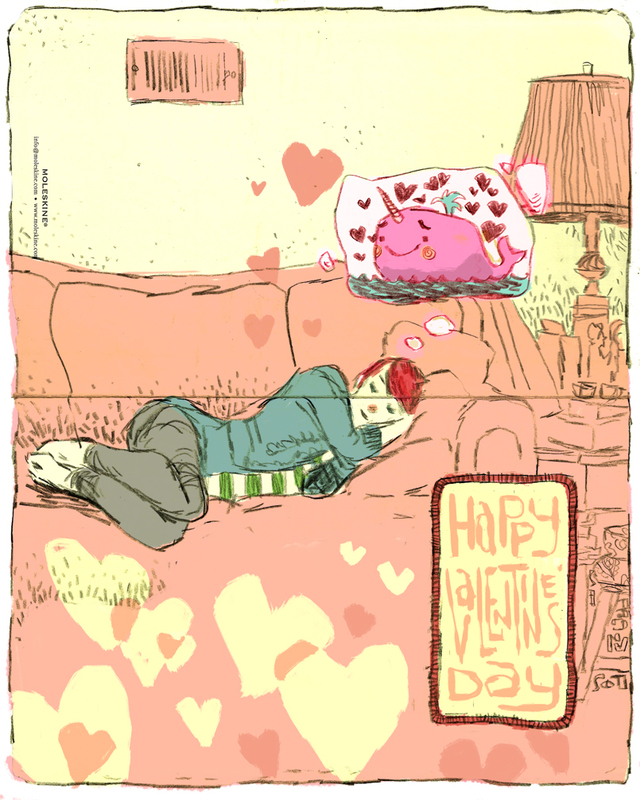 May the Pink Narwhal of Love and Contentment visit all of us during the traditional Nap of St. Valentine this year, and teach us the true meaning of Valentine's Day. Valentine's day just got a lot more interesting. Wow. Jake, you DO do cute really well. Someday you're going to draw something imperfect, but today is once again not that day. a warm, pink cetacean, I think you mean. This is so cute! I bet your wife loved it!